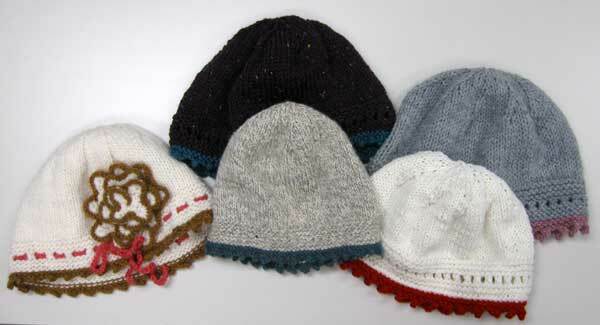 My Knitting in the Round students made amazing progress on their retro cloches after only two class sessions. Here are their works-in-progress. The last class is next week and we'll work on the rosette embellishment and the drawstring. Retro cloches from my Knitting in the Round class. Retro Cloche hand knit by Lois. Lois finished her hat and sent me this photo. She used a row of single crochets for her drawstring. Great job, Lois! 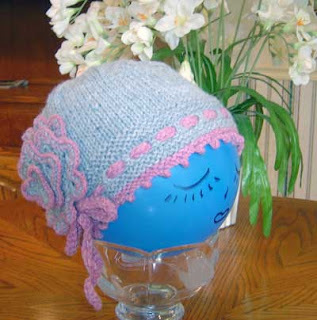 This project is full of interesting techniques, so students walk away from this class with many useful knitting techniques that can be used in future projects. It's been a really fun class.